Anyone who knows me is aware of my love for a spud! It often triumphs over my other favourite foods both at home and in restaurants because it’s simple, hearty and utterly scrumptious. Based on this, you can imagine my immediate excitement when I heard about the new (as in brand spanking new) baked potato company, The Potato Project, opening a café on Noel Street in Soho. 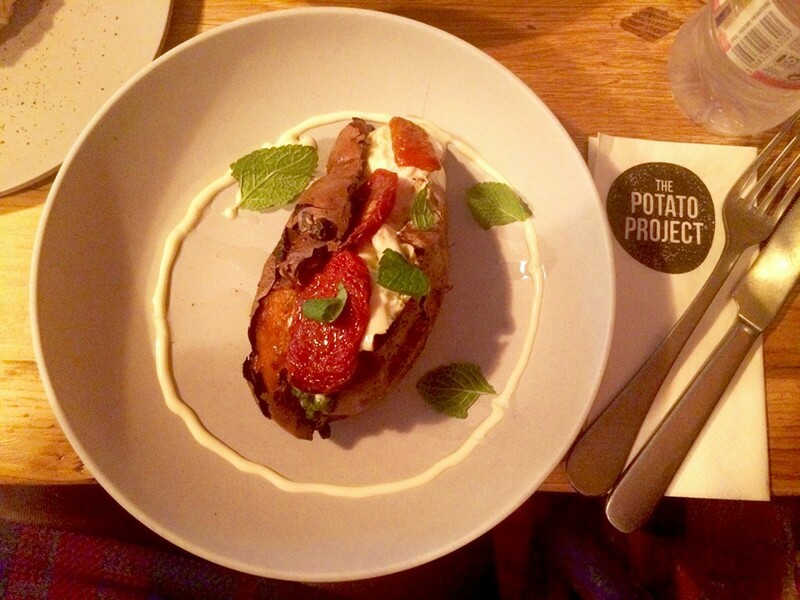 Brought about by Ksenia Karpenko (formerly head sommelier at Four to Eight), The Potato Project proves that there’s more to a jacket potato than its usual pairing of cheese and beans. The menu is split into two halves, the first being classic combinations with a tantalizing twist. Smoked ham hock, cheddar & piccalilli and tuna mayonnaise with roast corn and pickled red onion are amongst the options. Alternatively, you can opt for something a little more ambitious from the something a little different side. The friendly members of staff recommended that I try the coupling of chilli beef ragu and blue cheese. Ignoring my non-adventurous taste buds, I followed their suggestion… it was delicious. The spice of the meat when coupled with the creaminess of the cheese created a tasty contrast and putting this on a bed of carbs, genius! What can I say? 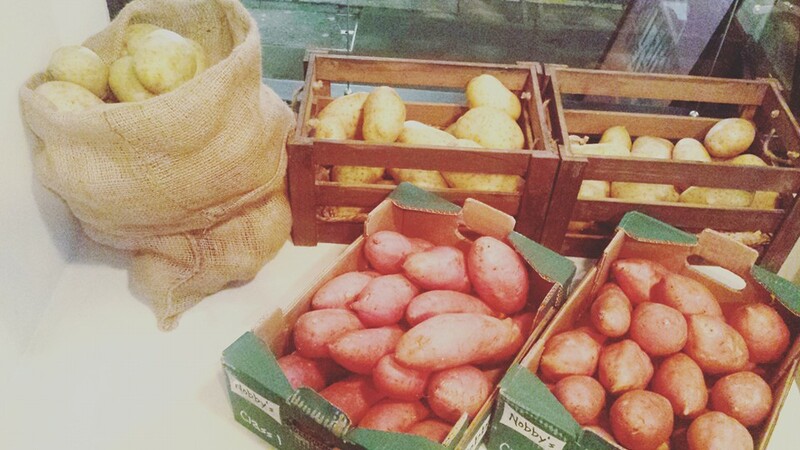 It’s clear that London’s latest shop is definitely succeeding in shining the spotlight on the versatility of potatoes. 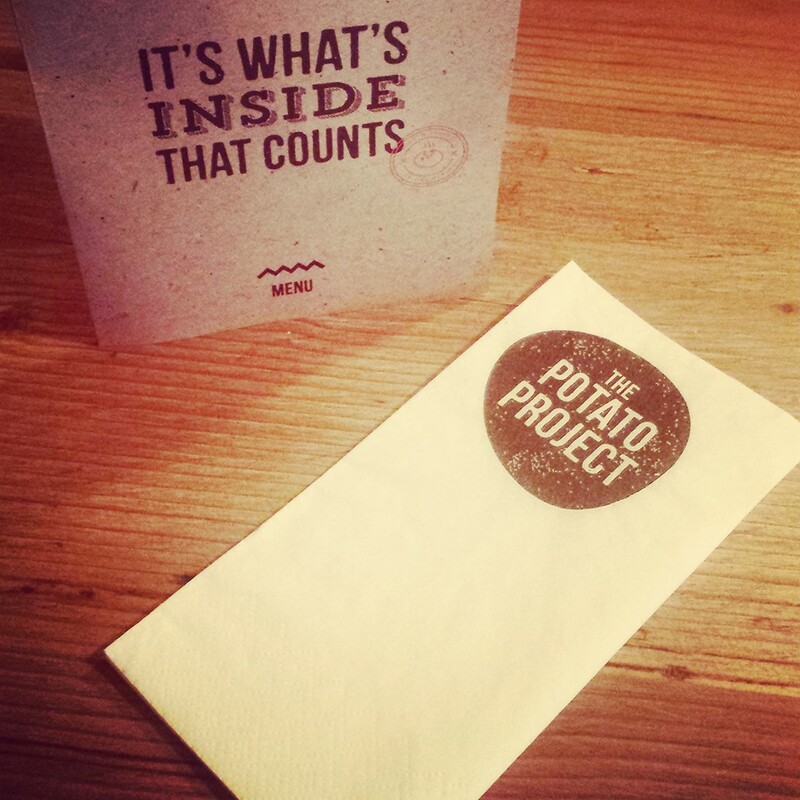 The menu’s unconventional combinations alongside The Potato Project’s homely atmosphere make it the perfect spot for a busy she to have a humble meal.